Frank Kramer (Fürth): "We played with passion and created a number of goalscoring opportunities, but we defended poorly on a couple of occasions and Eintracht’s individual quality also played its part. We want to approach every game with the necessary commitment. One home win wouldn’t satisfy me." Armin Veh (Frankfurt): "It was crucial for us to win today to keep our chances of European qualification alive. With 42 points, we have now achieved our main target for the season - even Bayern haven’t achieved theirs yet as they still haven’t yet wrapped up the title! It’s now our goal to finish in the top six." Dieter Hecking (Wolfsburg): "We did everything to let them back into it, despite being up 2-0 and having the chance to make it even 3-0. I’m very angry about it, because we did everything right in the first half. But it’s been like this the whole season." Michael Wiesinger (Nuremberg): "It probably would have been game over at 3-0, but we proved that we can dig in and work hard. I was really pleased with the fact that we even tried to go for the win after making it 2-2. We could have actually won it had we been luckier, but we wouldn't have deserved it after that first half." 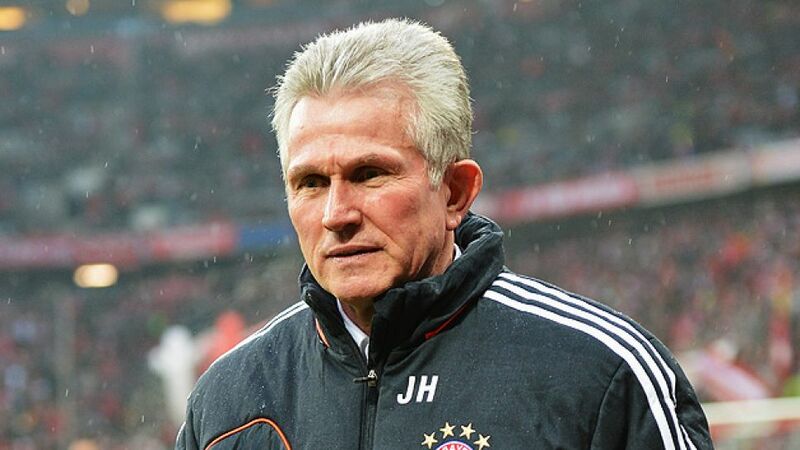 Jupp Heynckes (Bayern): "Obviously it was important for us to gain further confidence. We played some textbook football for parts of the game. However, it’s going to be a whole different story against Juventus [in the quarter-finals of the UEFA Champions League] on Tuesday, because they will play much more aggressively. It was apparent the team had a lot of fun playing today." Thorsten Fink (Hamburg): "We allowed them far too much space throughout the game. Bayern were really in the mood today, but our performance wasn't acceptable; nine goals is a lot to concede... I’m extremely disappointed to have suffered such a defeat as a coach. It’s difficult to explain a 9-2 defeat. Everyone should be critical of himself - the team as well as the coach. We should try to recover from this game together.´"
Bruno Labbadia (Stuttgart): "We knew it would be a tough game. The team played very well, but in the end it’s very disappointing not to have gained at least a point." Jürgen Klopp (Dortmund): "The game was extremely intense - a little too intense for my liking, actually. A number of challenges were a bit heavy. The desire we showed eventually won it for us. Those types of victories are the most rewarding. Except for Marcel Schmelzer’s injury, it was a good day for us." Norbert Meier (Düsseldorf): "I don't think the 4-1 scoreline is a fair reflection of the game. We had a very good period after our equaliser, but Leverkusen fought back. The team played very well for some parts of the encounter, but we were punished for our mistakes." Sascha Lewandowski (Leverkusen): "We started well but we were a bit unsure of ourselves in possession in the opening stages. The game could have gone either way on a couple occasions in the second half."